I have a friend who has been asking me for advice on a new computer build. That’s not the point of this post, but it did make me reflect on my recent build, which I now use for gaming and music recording. I have wished more than anything else on this PC for integrated wi-fi, especially since we move it around the house pretty frequently and can’t always get a cord to it. BIggest lesson learned from this build (except for the lesson about not using Vista) – if you’ve got the cash, spring a few extra bucks for integrated wi-fi, even if it’s on a desktop PC. Just my opinion as someone who’s got just about everything ELSE on their PC. So most of us Americans are off work today (if we have international readers, get back to work!). We take a day to celebrate and give thanks – a tradition which originated with some of the early American colonists. I’m not sure if we Americans started the tradition of massive overindulgence in honor of holidays, but we may have perfected the art of gluttony. =) And although we do eat a particularly special meal (it smells wonderful as it’s cooking), I plan to enjoy it while being moderate. It helps me avoid gluttony at this time to remember those who are eating a few cups of rice today (because it’s all they have). I don’t usually get personal, political, or religious on this blog. I will attempt to maintain this policy for the most part, though I think it difficult to give thanks without considering the ultimate question of origins and Deity which forms the philosophical bedrock our lifestyle (including gratefulness). I personally (and I don’t mind that much if you think differently) am grateful for life, which I credit to God. I am thankful for God himself – for his companionship and for the change He has brought about in my life. I am thankful for my wife and child, and for my extended family. I am thankful for technology and my career in it. I’m thankful for music and the opportunities I have to be involved in it. I am thankful to be among the most wealthy people in the world, and I’m thankful for the opportunity to give to those who are less wealthy. I’m also thankful for video games, which I intend to indulge in today. This is just a few things from my list. I was surfing my TechRepublic daily emails today and I found this “top 10 Vista sidebar gadgets” article. It’s been a while since I did a Vista post, so here’s one. Maybe a good Python project for me would be to integrate this technology into an automatic translator – grab the text of an IM and put it directly into a translator. Maybe even start with an open source IM client and make a new version of it that provides an automatic translation in a separate window. As you might guess from the above, we still use IE 6. 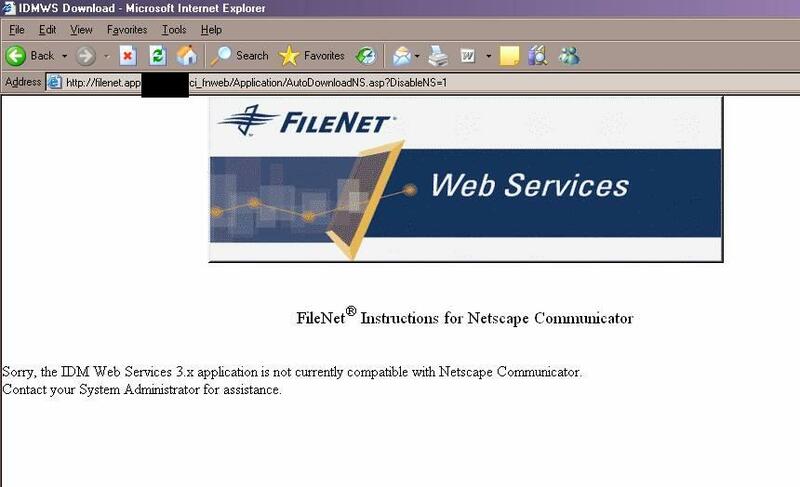 IE 7 is incompatible with FileNET’s web client (at least v. 3.3). However, it still may be useful for your purposes on another browser or version. If you find yourself having problems using particular pages, try creating a separate shortcut to IE and tacking the URL on to it as an argument. The reason this works is that if you DON’T use this method, all your IE windows open under the same process. If there is a problem with one, they all kick the proverbial bucket. Any URL opened under this method will force it into a new instance of the ‘iexplore.exe’ process. It’s slightly harder on your system resources (barely), but it prevents some crashes (so that, when IE window A crashes, window B still stays open), and, at least in our case, provides relief from this false error message. I am excited to have made some progress on this, and I’m also excited to apply the same concept to a compatibility issue between Bizflow and Oracle. 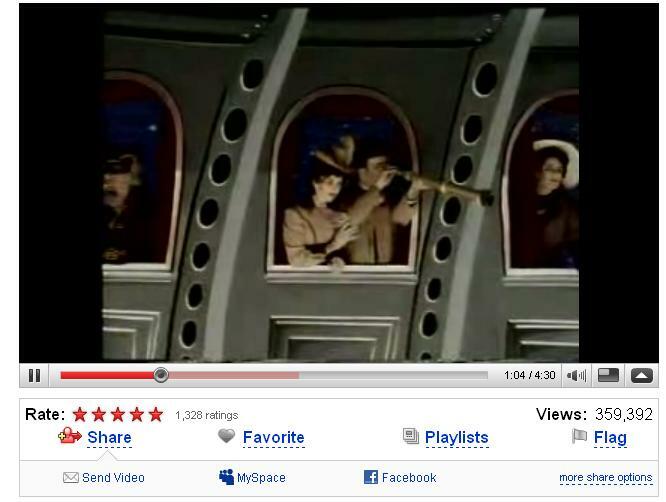 Last night, when I was on YouTube, they had the usual default aspect ratio. If a widescreen video was uploaded, it displayed in letterbox. Today, however, I found something different. Does this signal the death of the “standard” aspect ratio? The site serving perhaps the most media content on the Internet has decided on widescreen as their default (and thus a “sideways letterbox” for standard ratio content). I personally am not totally used to widescreen yet, but then again, when I was growing up, a 20″ TV was big. Now, people don’t even want to play games on a 20″ (I bought the 22 for my gaming and recording studio ‘needs’). I’m starting to appreciate widescreen, though. All that said, I am not here to rant, but simply to express fascination over the cultural implications of this minor shift. I like this. If you’re looking for a middle-of-the-price-range entertainment PC, you might have just hit the jackpot. I actually first really got to know the HP TouchSmart at Staples, but there’s a lot of buzz about it on the intertubes. I was checking out some specs on it last night and am fairly impressed – HD capable on some models (provided you aren’t on the short end of the DRM stick, as Mark wrote), touchscreen capability, nice and speedy, and it uses the newly-almost-popular monitor-only form factor. I really like the wireless keyboard and mouse. Very sleek and stylish. Prices range from $1300 USD to $2000 USD. Check out the video for more demonstration of the touch screen. All in all, I am pretty impressed with it. They have brought touchsreen to a level and price point where it could be useful for entertainment purposes. I would enjoy having one wall-mounted in a den or in my recording studio (if you would be using one for that, I would point out that I seem to remember it being very quiet). I usually like to point out some cons too. This one is obvious – is it good for anything except media? It seems heavily oriented toward pictures, video, and the like. However, I don’t see it ever being popular as anything else. Perhaps a kiosk computer. I would also point out that the lower end models use integrated graphics, which steals some of your RAM and is just plain bad if you are into gaming. The higher end model (IQ816) has an NVidia GeForce 9600 M GS HD, which is a 512 MB video card capable of doing a decent job for gamers. Still, I just don’t see this catching on for much else besides entertainment. But then, most Americans seem to have at least one computer whose primary function is Web surfing and entertainment. I have three more articles to share with you about copyright. All of them in my RSS feeds today and from three different sites. Two of them are bad, but fortunately one of them is good and it really is a continuation from my previous post just yesterday. First is about the new Apple laptop selection. The movie industry has been pushing for a DRM scheme to close the hole in analog media in preparation for HD content. To the movie industry HD is king and they demand a high price tag for such. One problem is that if the HD content were allowed to be broadcast over analog signals (like VGA monitors or projectors) that pirates could then record the content. This ignores the fact that most people simply rip the data off the hard drive or the Blue-ray disk to start with. It sort of negates the value of HD content by recording an analog signal, but that doesn’t stop the MPAA from forcing a DRM scheme on hardware. Enter HDCP. The purpose here is to ensure that the computer and the external device have the proper DRM scheme to stop people from recording the signal (as if they wanted to). The problem is that HDCP is a highly secret and often misunderstood standard. So far in the US there is no labeling so I could purchase a TV today and have no way of knowing if it is HDCP compliant or not. Where Apple messed up is in not telling buyers that they finally implemented this scheme. So many users that purchased, legally, movies from iTunes suddenly are finding out that they can’t project those movies on their monitors, projectors, or some TVs. This is a perfect example of what I was talking about yesterday where content owners are essentially taking away users freedom to protect their content. In my mind if I purchased the file I should be allowed to use it how I see fit (so long as I am not profiting from that use). This, mixed with a few other problems with the new Apple laptop lineup, makes me reticent to recommend them. Another troubling article is from the UK where apparently an anti-piracy group is pushing to change the laws in the UK for digital up-loaders to face 10 years in prison. They say this is to keep in line with pirate organizations, but this seems way overboard given the extent of the crime. Pirates who have copying machines and go on the streets selling pirated goods are profiting from the content. This is entirely different from someone who uploads content for the purpose of sharing and where no profit is gained by doing so. In the first case I can see 10 years being a justifiable sentence, but in the second that is far to egregious given that no money was ever made. I think people on both sides of the bit-torrent argument could see that this is excessive. What is worse is if something like this were passed it would set dangerous president for other countries, a president I don’t want to face. Again I am not advocating downloading music off of bit-torrent. I personally don’t do it all and think it is of questionable morality, but to think that I could face 10 years for doing so is a scary proposition. I like to end positively. This is the story of a group of content owners recognizing how to make money with free content. Monty Python realized that much of their content was on Youtube for free. Rather than sue Youtube, like Viacom did, they are using Youtube to promote their content for free in hopes that people will buy scarce goods. Mike Masnick of Techdirt gives a good run down of how this works. Watch the Youtube video explaining what they are doing. It is nice to see someone finally getting that free can be a tool to actually make money.